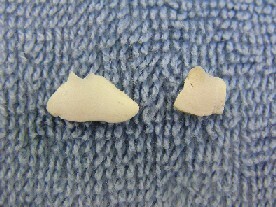 Two pieces of calculus removed from a dog's teeth. The ruler is in centimeters to give a reference for the size of the pieces. The piece on the right would be twice as long, but it broke in half while being removed. 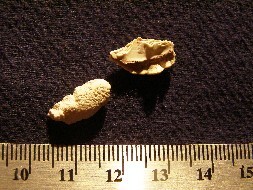 Two baby teeth that fell out from our dogs when they were puppies.